Bad news from the CDC according to the July 23rd issue of the Morbidity and Mortality Weekly Report, a quarter of Americans expect an antibiotic prescription when they visit the doctor for a cold. Antibiotics do not fight viral infections like the common cold which is a viral infection of the nose and throat. Other common infections caused by viruses include the flu and bronchitis. Improper use of antibiotics leads to antibiotic resistance one of the biggest threats to public health worldwide. Every time a person takes antibiotics, sensitive bacteria are killed, but resistant bacteria survive and can then grow and multiply. Unnecessary overuse of antibiotics can increase the number of antibiotic-resistant bacteria. The researchers analyzed the responses to an internet survey that was distributed in 2012 and 2013. Over 7500 consumer responses were received, and additional 1500 responses from health care providers (physicians and nurse practitioners) were also received. The results of the analysis showed that 26 percent of patients expected to receive a prescription for antibiotics when visiting the doctor for a cough or cold. Hispanic consumers were more likely to believe that when they have a cold, taking antibiotics would help them get better more quickly (48 percent vs. 25 percent of all consumers). Hispanic consumers were also more likely to report obtaining antibiotics from sources other than their health care provider, including using leftover antibiotics from a prior illness (25 percent vs. 9 percent). 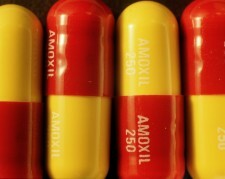 Taking leftover antibiotics is especially bad for antibiotic resistance not only are these leftover antibiotics probably expired and therefore less effective, but having leftover antibiotics most likely means the person did not finish a previous prescription. Both these factors contribute to drug-resistant bacteria. On the other hand, there is some good news in this report as well: although more than half of health care providers reported that their patients expected an antibiotic prescription for a viral illness, 94 percent of health care providers were most commonly deterred from prescribing antibiotics because of the potential for antibiotic resistance. There was also some good news from the consumer side. Despite the large percentage of consumers who expected an antibiotic, all consumers most commonly expected reassurance, at 42 percent. The authors write, the fact that consumers were more likely to expect reassurance (all consumers) or suggestions for symptom relief (Hispanic consumers) suggests that provider counseling, rather than an antibiotic prescription, is paramount in consumer satisfaction.